There is a mystery to the Lascaux Cave Art discovery that has a siren call for me as an art teacher. Perhaps I love to teach this lesson so much because the boys who were out walking their dog and discovered the cave are about the same age as the students I teach. What kid wouldn’t want to discover a secret cave? Maybe it is the need in all of us to discover who are ancestors were and how they lived. But finally I think it is the mystery of the message in the cave drawings that brings me back again and again. No one really knows what these artists were recording. Magical images used in religious or hunting rites? A record of their hunts? How did those people perceive their world and what muse made them create these images ? And what of those handprints left behind? I long to place my hand where that ancestor placed theirs. But as we discovered, the bacteria on our hands and in our breath can destroy the ancient pigments, so the caves are sealed off except to scientists. I found another year’s exploration of the subject in these images from 2007. 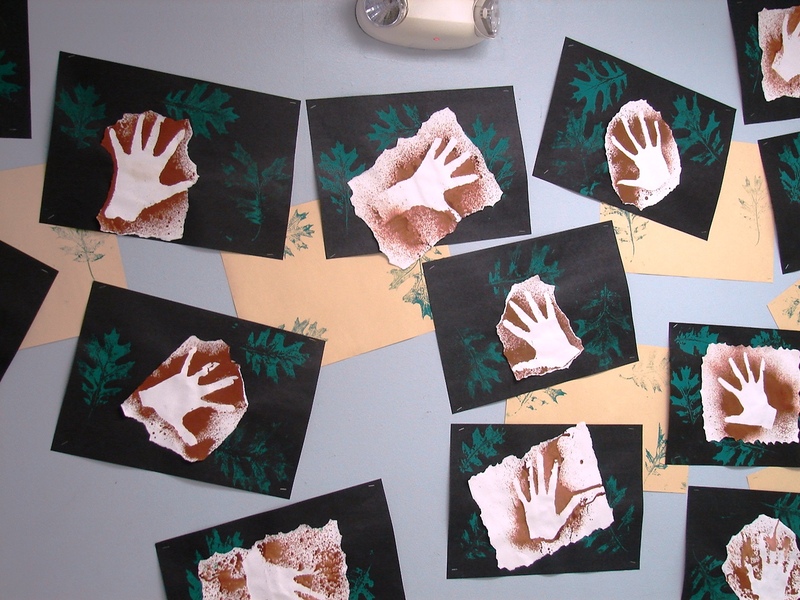 We made our own cave in my room and printed leaves and our own hand prints. Other students drew pastel animals and a mural of the discovery for our hallway display. 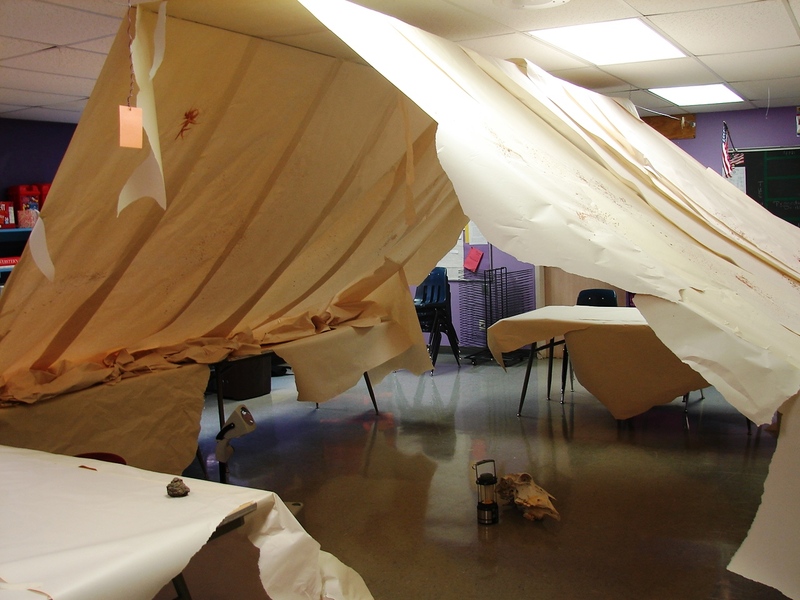 We created our own Lascaux Cave in my classroom. We sat in our secret cave and drew. We created our hand and leaf prints.